Brandon Johnson, Pacific Crest brass instructor, submitted this photo and caption. Past and present members and instructional staff of the Pacific Crest pose for a picture following the Anaheim edition of TUBACHRISTMAS. 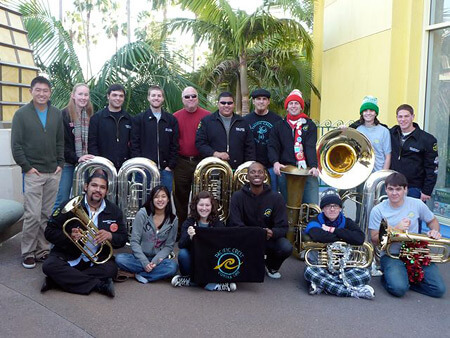 This group was a part of the 447 tuba and euphonium players that descended upon Downtown Disney for this annual festive event.